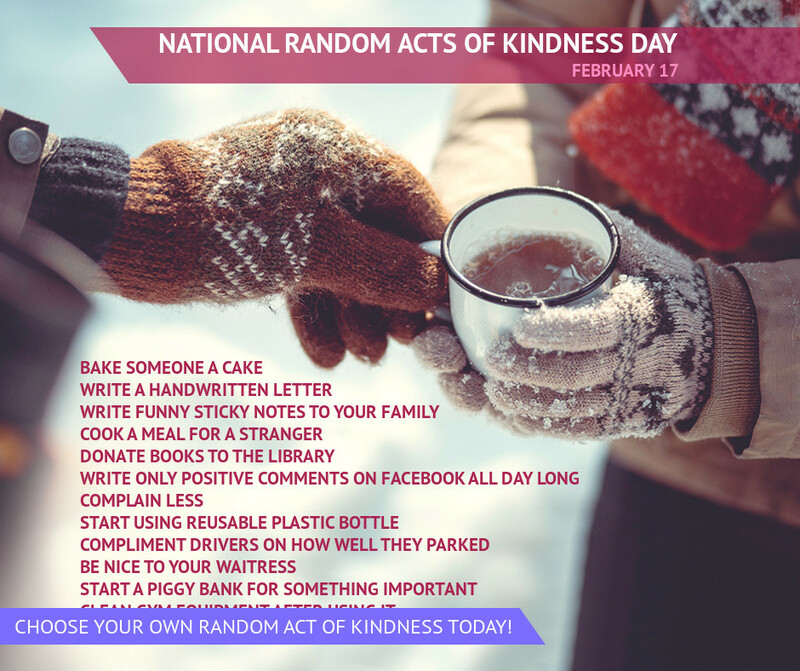 I love that today is National Random Acts of Kindness Day. What a neat day to celebrate! I challenge you to go out and spread the kindness. I will pick three people at random from the comments and send you an ebook version (your choice Mobi or ePub) of High-Risk Reunion (Lone Star Justice-Love Inspired Suspense). 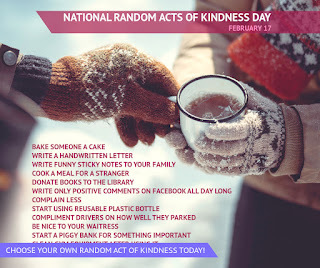 What kind of random acts of kindness have you seen? One happened to me while I was on a school field trip downtown with my granddaughter. I had to find a parking place which isn't always easy downtown. The only one I could get was a meter parking space. I didn't have enough quarters to feed the meter and a nice woman gave me enough to have the two hours I needed for the field trip with my granddaughter. The field trip turned out to be a great one with my granddaughter and the students I chaperoned. Margaret Daley: I have a free book for anyone who would like to sign up for my newsletter. 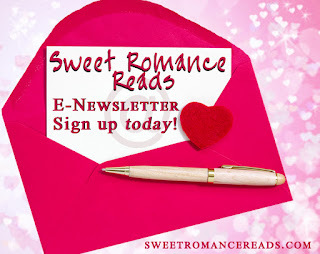 All you have to do is go to http://littl.ink/FreebookFB and sign up for both the free book and to be on my newsletter. Deadly Hunt is the first in my Strong Women, Extraordinary Situations Series. Blurb: All bodyguard Tess Miller wants is a vacation. 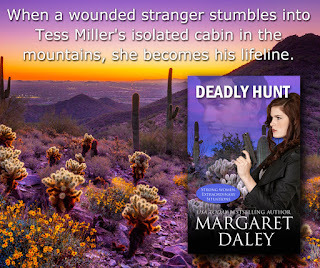 But when a wounded stranger stumbles into her isolated cabin in the Arizona mountains, Tess becomes his lifeline. When Shane Burkhart opens his eyes, all he can focus on is his guardian angel leaning over him. And in the days to come he will need a guardian angel while being hunted by someone who wants him dead. Don't forget the SRR Newsletter. Sign up here! I am not entering, but random acts of kindness are honestly the best kind. Lovely of that woman to give you the change and save you the hassle. Josie, I agree. The best kind. My college age son came over a couple weeks ago to use our computer. My husband and I had to leave while he was there. When we got back, he had gone home, but the dishes were done and the kitchen was clean. It was a wonderful surprise! MomisReading, you've won a ebook of High Risk Reunion. Please email me margaretdaley at gmail dot com. Margaret, thanks for the reminder. VivaVideo is a free app available for both Android and iOS that allows even the most inexperienced of users to combine and edit audio and visual content. Don't miss our best laptops list, freshly updated with the Lenovo Yoga 910. One of the best free video camera & video editor apps in Android & iOS market, easily create your video story, made simple and fun with VivaVideo.